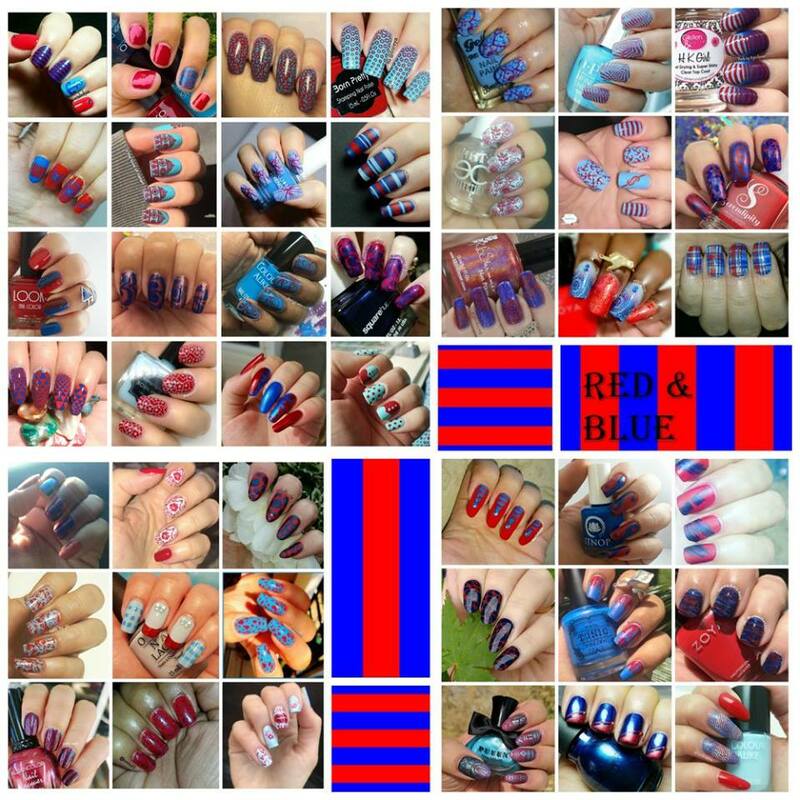 Color Scheme prompt from #whencolourscollide Facebook group: Red and Blue (only). 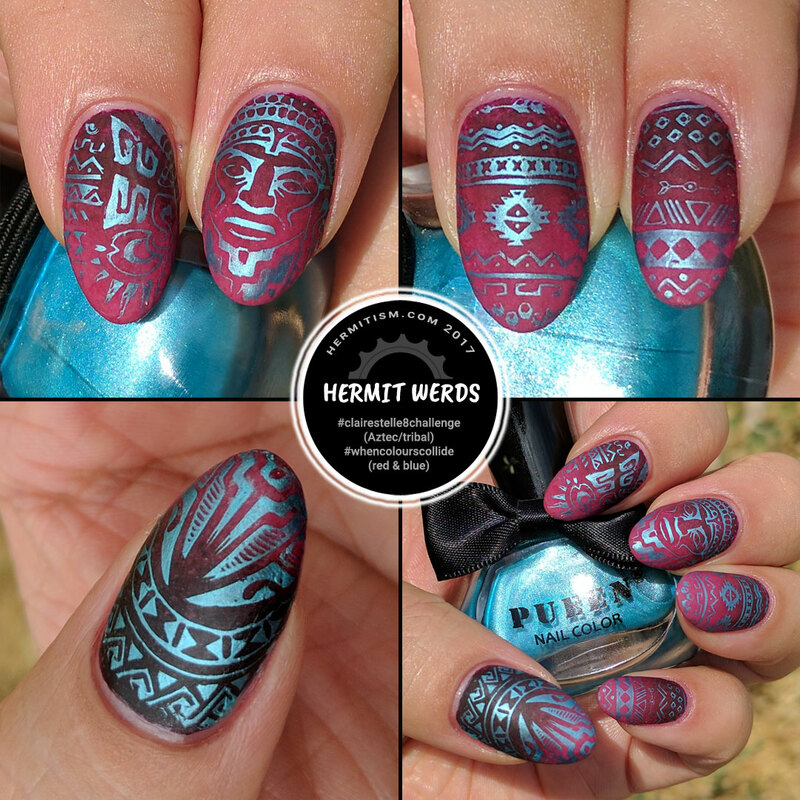 Stamping prompt from #clairestelle8challenge: Aztec/tribal print. I always feel a little uncomfortable trying to do a culture-based style when I don’t know much about it. And I’m not going to spend a lot of time researching things that aren’t my usual style because: time. Plus I will probably just avoid doing this style most of the time because it wraps up in a tangle in my head between artistic integrity (i.e. knowing where the patterns you’re using came from) and respecting other people’s cultures. So I end up image googling and crossing my fingers. On a lighter note, I’m amazed at how well this turned out. I really like it. The aqua just cuts through the dark less-saturated red and really pops. 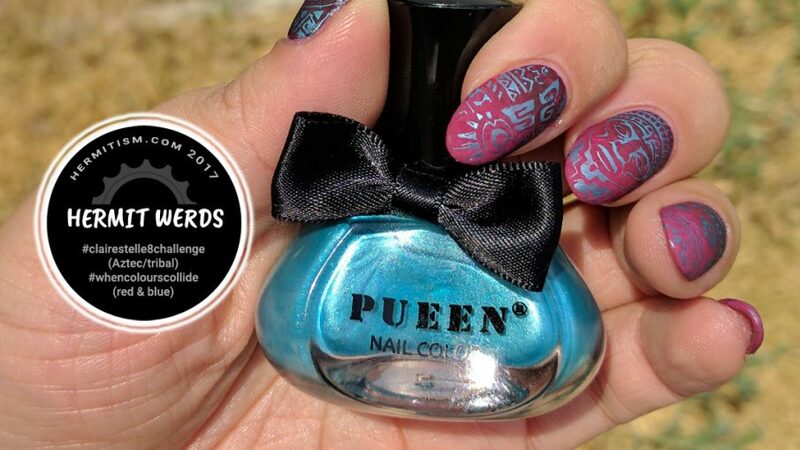 Funny thing: if I hadn’t needed to add a couple of dollars to my cart to get free shipping, I would never have purchased Pueen’s “Cool Aqua”. I am really happy with the color and its opaqueness over the darker color. I did swatch it on a stick though and it has the typical metallic polish streaks. Pickup wasn’t perfect with a clear stamper, but I haven’t purchased a new stamper in about a year and I think the technology has improved a tad. It worked fine with my old reliable Konad. 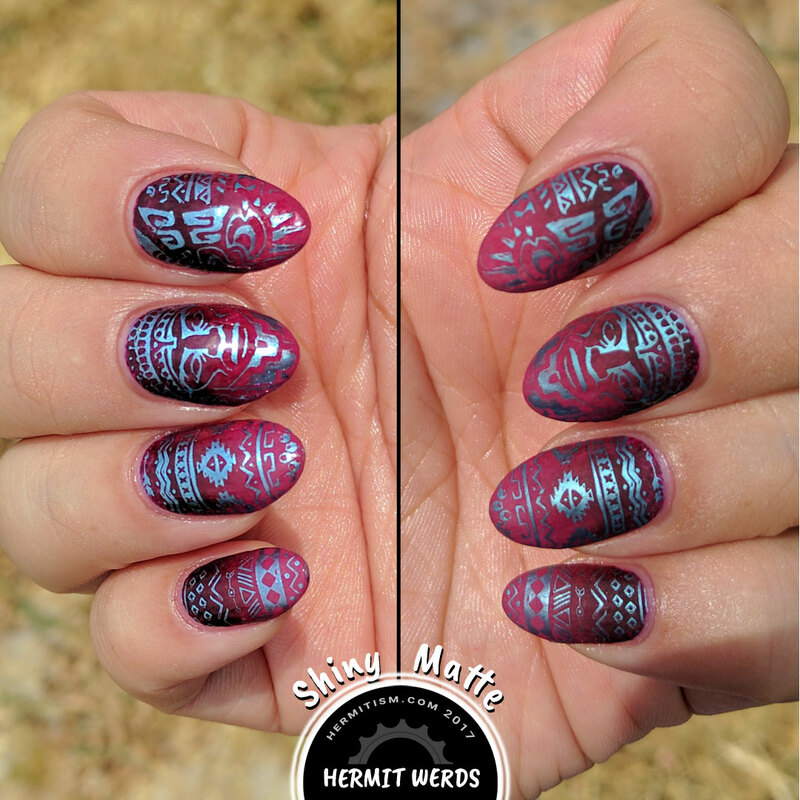 Edit: No one voted on shiny vs matte this time. So I think this marks the last time I’ll do it. Good experiment though.